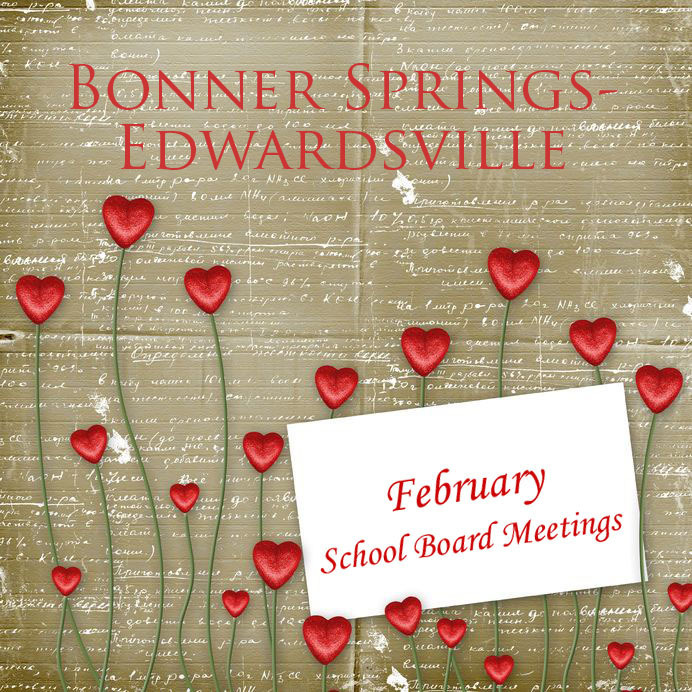 The Bonner Springs-Edwardsville School District Board of Education met Monday, Feb. 6, at 7 p.m. In addition to routine items on the agenda such as receiving an update on the food service program and hearing a personnel report, board members had two significant items of new business. First, the board was scheduled to discuss the Edwardsville Tax Incentive Revitalization Program. This program could reduce the number of tax dollars helping to fund public schools. Second, the board was to discuss refunding bonds. This is a form of debt refinancing that could save money for the district. The board meeting, which was open to the public, took place at the District Office; 2200 S. 138th St.; Bonner Springs, KS 66012. Board meetings usually take place the first and third Mondays of each month.